This press release was very relevant to my interests. Having recently readjusted my work space around, I now have room for a tri-monitor setup and have been on the look-out for something to replace my single 27-inch 2560x1440 IPS display. My current options are either upgrading to a single 4K/UHD display, something like the TN-based Samsung 28-inch U28D590 that has just become available for £500 in the UK, or adding a second 27-inch 1440p, or completely changing out to a trio of thin-bezel 1080p monitors which I could also use for gaming as well as writing. 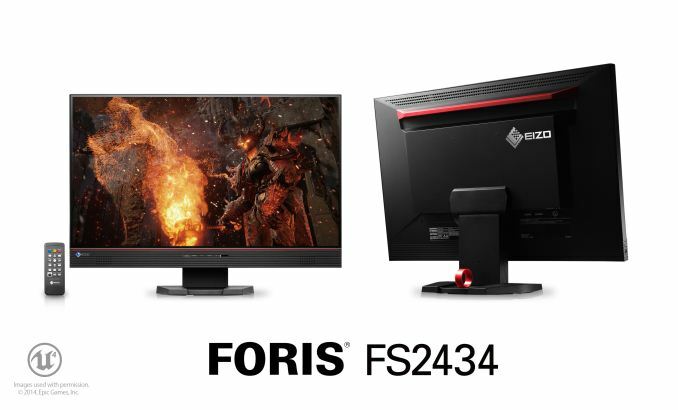 I have the GPU power for all three options, but EIZO just made that choice a lot more difficult with the introduction of the 1920x1080p 24-inch 60Hz FORIS FS2434. 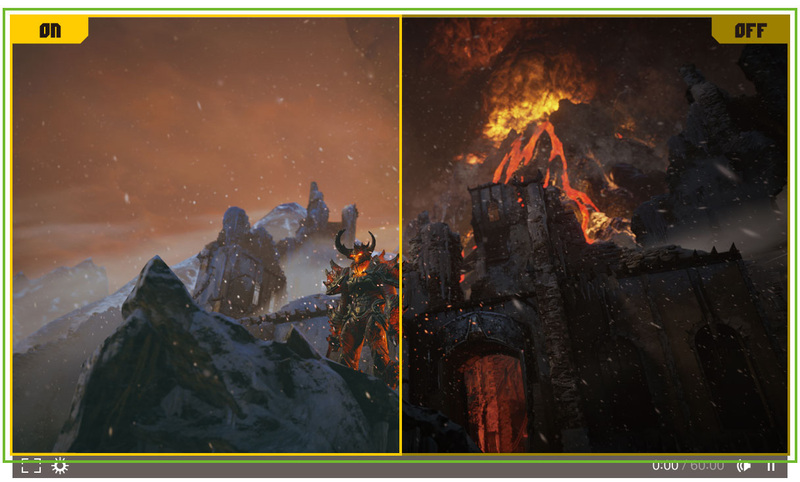 Most thin-bezel monitors always have ‘some’ bezel in addition to ‘some’ blank edges on the panel itself. For a large number of monitors that I have been looking at, a standard total length from image to the end of the device seems to be 1cm in order to qualify for the thin-bezel naming. At Computex this year we saw the 2560x1440p ASUS Designo MX27A which is clearly sub-1cm but is going to cost a pretty penny. Even the ASUS MX278H is in the same region, but retails for £280 this side of the pond. For the cost of three of those, I could in one UHD display and a decent chair to sit in by comparison. The EIZO FS2434 promises a 6mm ‘frame’ (that is 2mm bezel and 4mm border from LCD to bezel) along the top and sides of the monitor, making it nice for a three-monitor setup or six if you are prepared to orient them around. The panel is IPS giving 178º viewing angles, and the 16.7 million colors means 8-bit color support. Input lag is listed as 0.05 frames. The stand has 60mm of height adjustment, 25º of tilt and 344º of swivel, but no mention on pivot. There is a VESA mounting system on the rear, and EIZO likes to point out a handle to make it easy for transportation. Connectivity comes through two HDMI and one DVI-D, along with a USB hub with one upstream and two downstream ports. The two 0.5 watt internal speakers also give a line-out jack. Brightness is listed as 250 cd/m2 with a 4.9ms gray-to-gray response time. Smart Resolution: Analyzes an image for noise and blur and attempts to correct the blur without increasing the noise. Smart Detection: Detects which parts of the screen are playing videos/games and applies the two features above to those specific regions of the monitor only. The FS2434 also uses a hybrid DC/PWM system for backlight control in order for flicker-free gameplay. The panel comes with a five year warranty (where five-years means 30,000 hours of use from date of purchase). The monitor will begin shipping in late June, although price will vary by region and no MSRP seems to be set. 24-inch 1080p IPS monitors are now a dime a dozen, and it will be interesting to see how much of a price premium the thin-bezel will attract. The only downside that I can see is that you could never do a portrait setup (3240x1920) due to the huge bottom bezel. I have the Dell U2414 monitor. Not bad at all. Color is very nice and I like the bezel. The EIZO has interesting features but I would need an extremely positive review to look past that ugly lower bezel.